In the presence of Dharma, Yiannis transformed his life and purified his body and mind, to reveal his true spirit. Under the constant guidance of daily classes with Dharma for over 10 years, Yiannis Mukta Om, received transmission of the teachings of yoga. A devoted student of Self-Realization, as passed down to him directly from Sri Dharma Mittra, Yiannis Mukta Om, embodies the deep inner strength and playful nature of his Guru. 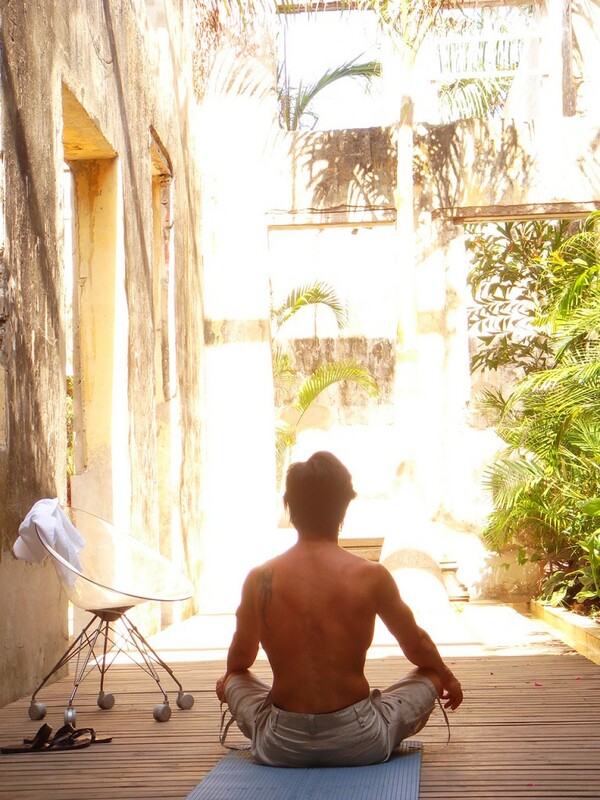 Yiannis Mukta Om is continuing his journey as the living example of the true essence of yoga. He is established in the ethical precepts, able to share all the tricks of the asana, qualified to pass on the techniques of pranayama, and able to to direct the student to go beyond the senses, the mind, and the intellect into deeper states of meditation and realization that he has cultivated from being by the side of Dharma for so many years.